The Department of Environmental Studies combines an understanding of earth resources, environmental leadership, environmental communications, green design, and land use planning and policy to prepare graduates for missional ministry in global societies that are balancing the need for urban development, exploration and exploitation of earth resources, and environmental stewardship. Our civilization is dependent on the exploration, exploitation and transformation of earth resources, most of which are non-renewable. The growth of the human population demands a constant expansion of urban areas, putting more constrain on the environment. Taking care of the non-human creation is not an option, it is a mandate that must be factored in every step of the way as humans obey the command to rule and subdue the earth. The Department of Environmental Studies will challenge students to consider God’s redemptive plan as inclusive of all creation, and to combine a scientific understanding of the issues with a biblically informed world view. They will be schooled in the merits of alternative energy and renewable sources and the importance of sustainability. The students will be grounded in the context of biblical stewardship of the earth and equipped to engage creatively in holistic mission that reconciles people with God, each other, and the non-human creation. The Department of Environmental Studies assumes that our worldview and values should be biblically informed, shaping how we understand the need for exploring and exploiting natural resources, urban development and frame problems such as depletion of nonrenewable earth resources and environmental degradation, and our failure to carry out the biblical mandate to care for creation. Environmental Studies assumes that God cares for our wellbeing; has provided the natural resources and given us the ability transform them to facilitate our pilgrimage here on earth. It acknowledges that part of repentance and discipleship is turning from behaviors that are destructive of our relationship with God, each other and the non-human creation. Environmental Studies teaches that all things have a future in God, and it is part of the human vocation to rule wisely while waiting for the return of Christ. Environmental Studies focus on balancing the need for exploration and exploitation of natural resources and proper care of the environment by different cultures around the world. Natural resources are used in diverse ways by different cultures to meet diverse needs and attitudes towards the proper care of the environment vary as well. 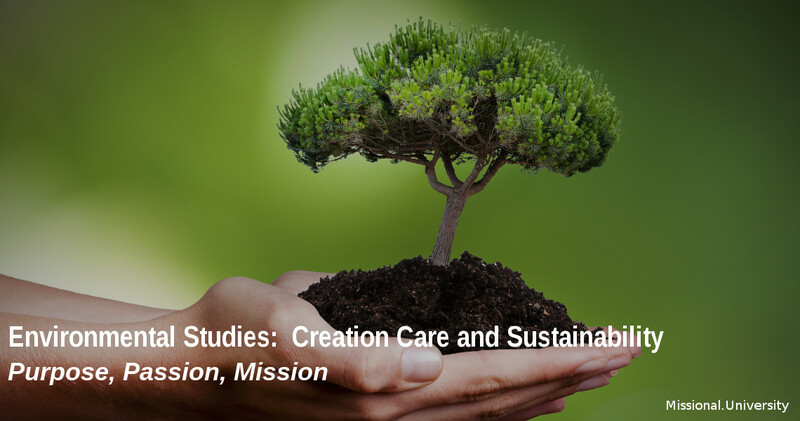 The study of Environmental Studies at Missional University prepares students to engage different cultures effectively as they develop solutions to proper stewardship of earth resources and the environment. 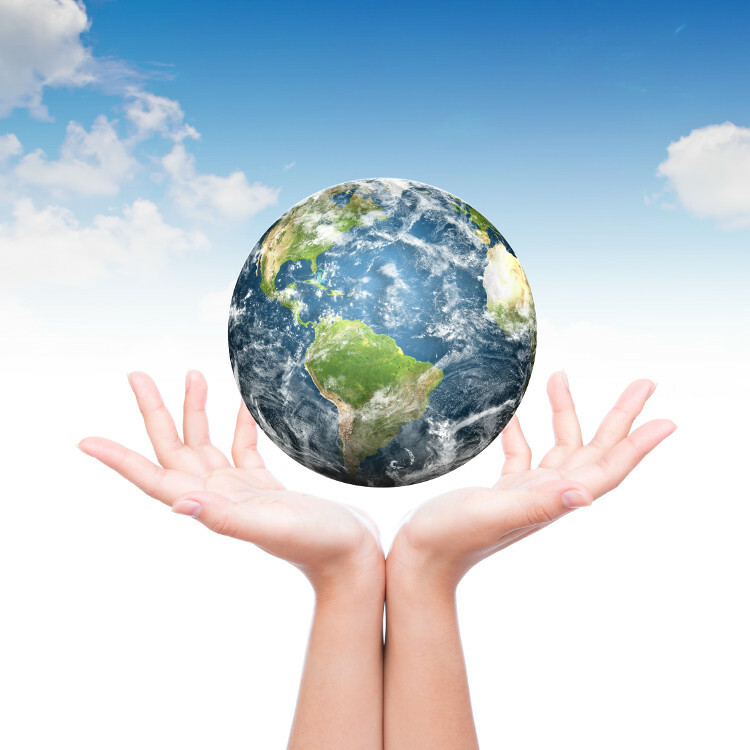 Environmental Studies address the exploration and exploitation of natural resources; development of alternative energy sources and sustainable use of non renewable resources in the context in which different human needs are being met. The exploration, exploration and transformation of natural resources results in undesirable consequences and the gospel must be contextualized to address these issues. The goal of the Department of Environmental Studies is to help students understand the important role the exploration, exploitation and transformation of natural resources plays in our civilization. It also seeks to develop practical ways in which the students engage in creative mission which makes disciples, cares for people's needs, develop alternative resources and uses non renewable resources sustainably. The study of environmental sustainability from a missional perspective will not be a mere intellectual or academic exercise. The students will be expected to make personal life style changes in response to studying the scripture and environmental and sustainability issues the world is facing. Students should also look for opportunities to practice environmental sustainability wherever they are living or working.